The West could soon use its leverage to push Ethiopia’s ruling Front TPLF (EPRDF) to sit down and negotiate with Ethiopian opposition forces, it has been learned. The new Western initiatives come after thousands of anti-government protesters were killed in Ethiopia’s Oromo and Amhara regions since November 2015 by government security forces, which has resulted in the declaration of State of Emergency earlier this month. If the TPLF(EPRDF) regime declines to come to the table and find political solutions, it could “face the consequences.” The regime and the country is highly dependent on Western governments’ assistance. The initiative is to find political solutions before the current political impasse in Ethiopia leads to endless war and destruction. In response to this, three ethnic and one multi-ethnic opposition forces have announced the formation of a new movement known as the “Ethiopian Movement”. These are the Oromo Democratic Front (ODF), Afar Peoples Party (APP) and Sidama Peoples Democratic Movement (SPDM) and Patriotic Ginbot 7 (PG7). The four parties will sign a MoU and deliberate with an audience in Washington DC this coming Sunday 30 October 2016. The sources added that the representatives of the Ethiopian Movement would hold talks with the officials of the U.S. government . The relationship between the ruling Ethiopian regime and Western countries has been “tense” since the protests in Ethiopia started. Many Western owned companies and citizens have been attacked and businesses were brunt down by protesters. The international community has been increasingly calling the Ethiopian regime to hold talks with citizens and solve the conflict nonviolently. The US government announced a travel warning across Ethiopia last week. This announcement is likely to have a significant impact on the Country’s economy and the government’s image. In what appears to be an attempt of “blackmailing” the international community, Western countries in particular, the Ethiopian regime has been withdrawing its peacekeeping forces from Somalia, the withdrawn places were immediately taken over by Al Shabab forces. It is amid such a political tension that the Ethiopian regime decided to pull its forces from Somalia citing “lack of support” as the main cause of the withdrawal. The most commonest speculation on social media among Ethiopian and international pundits is that the regime is doing this to show its importance to the West and that interference in domestic politics could cost them much. It is interesting to see how this would be responded. Domestically, the country is experiencing the aftershock of the protests, although nonviolent protests are still continuing even after the SoE was declared. Politically, according to our sources, there is a huge distrust and conflict among the member parties of the EPRDF especially between ANDM and TPLF. 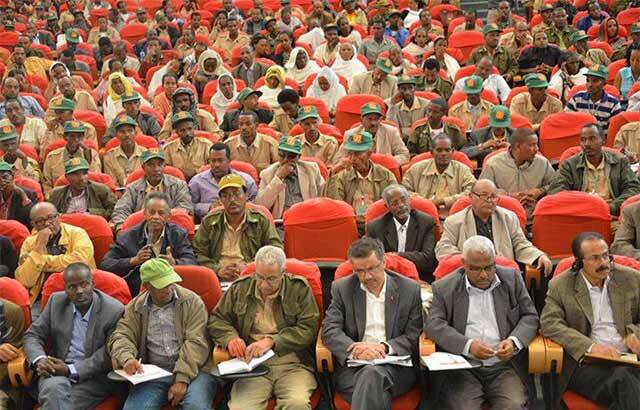 Most senior ministers of the government including ambassadors fear that they could either be arrested or lose their lucrative posts by the Command Post, which is composed of incognito TPLF generals and politicians. The aftershock of the protests has also affected the economy. FDI has stopped and those in the Country either have left or are pondering other possibilities. At least four UK travel companies such as Saga, Kuoni and Cox and Kings have cancelled tours to Ethiopia for this year, offering refunds or alternatives to customers, according to the Telegraph. Local tour operators have also seen a 90 percent decrease in tourist bookings, local Reporter Newspaper reported. Ethiopian Airlines has also been affected.